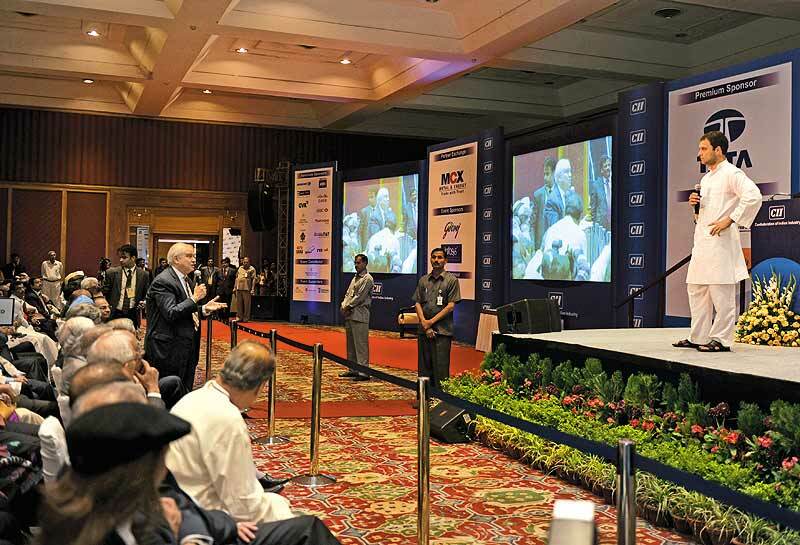 The FICCI-CII rallies have replaced grassroots ones. Is politics becoming a corporate playfield? Neither Modi nor Rahul are designated leaders of the BJP and Congress, NDA or UPA. What if a different, unheard-of leader emerges from their flock or outside? The projection of this man or that, this policy or that, runs counter to federal impulses in a large, multi-lingual, multi-interest country where regional parties are booming. Are business and media houses merely providing the stage for differing views and personalities, or are they openly setting the political agenda in troubled times? Head-to-head debates may work in homogeneous America. Soapbox oratorical tests are unsuited for heterogeneous India, which is why politicians have spurned it. In a parliamentary democracy, elected MPs, not business bodies, choose the prime minister. Usurping that role to thrust candidates is an affront to the voter. Sans deep questioning, all we get is a sales pitch. Bite-sized ad slogans (“India First”) and aphorisms (“Beehive”) end up as wisdom. Result: noise, not nuance. Real issues around development like food, health, housing and poverty are rarely discussed at business forums. The consultant-about-town takes a quick look around before launching the pitch. 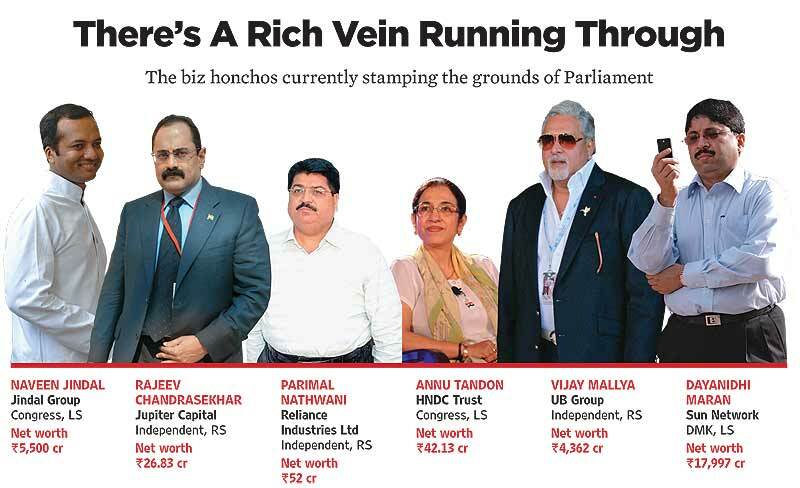 You see, there are three corporate clients—all in their early 60s and owners of Rs 1,000-crore plus companies—who are keen on fighting the next general election. If they can deal with the hurly-burly of politics (which includes egos shattering in slow motion, waiting for days to meet a party president), there is a chance to enter Parliament—the most exclusive club for a nat­ion of 1.2 billion people. The consultant nods when asked if these three clients attended any of the big corporate jamborees at industry bodies CII and ficci last week. “That’s where all the action is,” he smiles. Amazingly, and unsurprisingly, the “action” being talked about was the news last week. India’s top business chambers gave two prominent politicians—the BJP’s Narendra Modi (three back-to-back events, with the ficci Ladies Organisation, Network 18’s ThinkIndia and the three Calcutta chambers of commerce) and the Congress’s Rahul Gandhi (who spent over an hour talking to the CII in Delhi)—a platform to chest-thump their deeds and outline their political roadmap to a collection of their member companies. The media gave it enormous oxygen, and Twitter took it to another level of absurdity thanks to an online spat between #Feku (a sobriquet for Modi) and #PappuCII (for Rahul Gandhi) that raised disturbing questions about our society today. What gives corporate India the power to serve up a gladiatorial contest between two individuals (who are yet to get their party’s nod as candidates for the top post) within sniffing distance of national elections? Under the guise of “getting to know” the duo’s plans for an economy that’s seen better days, why is corporate India pushing their candidature in a US-style, presidential-type of debate? It appears far removed from reality, given how Indian politics is no longer dominated by the two national political parties. “Outside Delhi, nobody believes in the two-horse race,” argues economist Narendar Pani of Bangalore-based NIAs. “All this has an air of India Shining, it’s completely disconnected from reality.” It also lays bare corporate India’s greatest fear—dealing with a Third Front government or even the allies of the two major combines. Indeed, the CII has traditionally been closer to the Congress (remember how former CII head Tarun Das had to apologise to Modi after some of its members made noises about the Gujarat riots when he came to attend its function?). Like Modi and the BJP played off FICCI against CII to his advantage, the UPA carves up its ministries between the industry lobby bodies. So if infrastructure and roads and highways “goes” to CII, information & broadcasting and textiles “interact” with FICCI. Industrialists find it difficult to interact with government as an individual company. Becoming a part of a chamber’s committee, say, on infrastructure, gives a fig leaf of respectability while pushing a company’s case. The charitable view, of course, is that industry has a reason to invite top politicians—chambers do so every year—given that elections are approaching and that the economy is not in the pink of health. But it’s evident that the engagement has seen a massive spike compared to previous pre-election years. This is also mirrored in the vocal reactions to speeches. Many industry leaders, though enamoured by Rahul Gandhi’s presence and body language, were annoyed that he did not address issues like inflation and GDP growth. “Both the leaders had an entire nation to address, but they chose only one class of people to speak to,” says farmers’ activist Devinder Sharma. It is a symbiotic corporate-media relationship: like Mukesh Ambani who has made a tidy investment in Network 18, which kickstarted the ThinkIndia dialogue series with Modi last week. 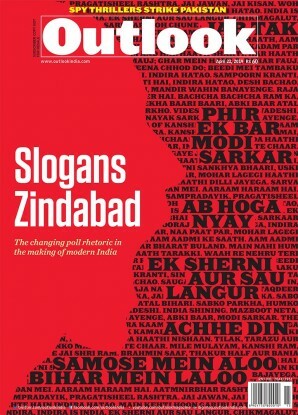 Or consider the India Today Conclave (the Aditya Birla Group has invested in Living Media, which owns India Today, a competitor of Outlook) which invited Modi for its leadership summit a few months ago. In Calcutta last week, Modi met a leading daily’s owner for over two hours. Business houses are also big advertisers and eyeballs mean good business. It’s evident that the politician’s messages are amplified by the media. More often than not, the encounters are also scripted to avoid criticism. Ever catch an industrialist questioning Modi or Rahul Gandhi about 2002 or 1984, respectively? “The boardrooms set the agenda, not the newsrooms. In Andhra Pradesh, for instance, channels owned by corporate houses have a single-point agenda—improve business. 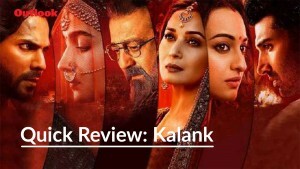 So it is with channels in Delhi with footprints in the rest of the country,” says Madabhushi Sridhar, professor at the Centre for Media Law and Public Policy, NALSAR University of Law, Hyderabad. Most experts agree that the media is not questioning this corporate-led development credo and binary view about politics. Indeed, you are bombarded with a whole lot of spin: ThinkIndia’s first panel discussion was on whether the “natural rhythm” of Indian society is liberal and right-of-centre—an amazing generalisation for a country of such immense complexity. Or consider the massive lobbying (notably in BCCL’s Times of India) against proposals to tax the rich. As expected, despite all the criticism, the industry justifies this interference with the political system. 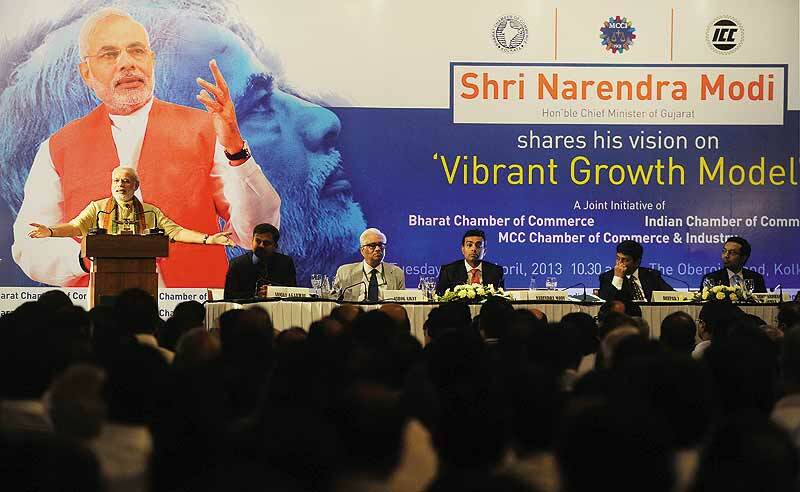 “Industry is a vital stakeholder in nation-building and growth. So it has an important role to play in policy formulation too,” says CII D-G Chandrajit Banerjee. Current FICCI president Naina Lal Kidwai’s reply is also on similar grounds: “The presence of political leaders allows us to understand their mindset. And, as in this case, it focuses their thoughts on issues of importance to us.” The subtext is that the industry has huge financial exposure with political parties for, as elections approach, they are being pushed to ‘contribute’ to the ever-expanding kitties of political parties. From their point of view, there is no better time to put pressure to mould policies to suit their interests. Experts insist that this will not end at election time. Like in the US, you’ll find business controlling the political agenda in the future. “This will lead to inequalities because business will always look at its own interests and maximised profits when deciding political agenda and policy,” warns Professor Chibber. The key question is whether Indian business, with all that’s gone on in the past few years, has the moral right to influence India’s policymaking and laws anymore? The number of cases where corporate India is complicit goes on increasing—diversion of slum redevelopment land for commercial use; diversion of irrigation water for industries (as witnessed in drought-hit Maharashtra); helping industries acquire land without paying due compensation; and finally the next big scam in the making, pressing ahead with privatisation of resources in the guise of public-private-partnership (PPPs) without any safeguards. In many cases, political proximity helps corporates wriggle out of tricky situations—like being over-leveraged—and getting state bailouts. Earlier this month, India’s largest banking entity, the SBI, embarked on a long overdue exercise to publicise wilful loan defaults ranging from a few lakhs to several thousand cro­res. The bank found many had even disposed of the collateral without informing it and have not repaid des­pite having the capacity to do so. “Unless citizens form groups, political action committees, participate in political activity, India is going to be ruled by a small group of political and business leaders,” warns T.V. Mohandas Pai, chairman, Manipal Global Education. It’s clear there are fewer voices speaking for the aam aadmi as the lines between politics and business blur. India yet lacks a strong and moneyed social sector which can be an effective counter to business interests. As for the forthcoming elections, recent history is a pointer. Who would have thought India Shining would have come a cropper in 2004? Why did many fail to anticipate the extent of UPA’s return to power in 2009? Given the multi-varied and often mysterious ways of the Indian voter, it makes sense to be a little humble before laying out a menu before her. Since 1991, India too is seeing what western democracies are facing: a standoff between the state and the market. Why won’t Rahul commit to the PM post? Is the back seat the best seat?